Mid length dress in prints with belt and bomber jacket. 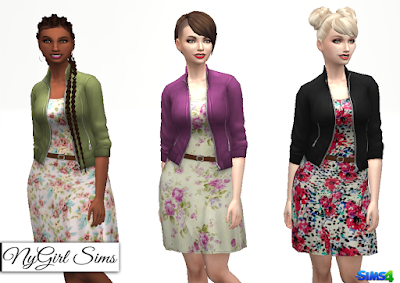 Made from a mixture of TS3 and TS4 textures. Mesh edit by me. Comes in 20 presets.